CAL is a forum, a network to improve our life knowledge and life skills through the help from each other. You accept that all in the page in for the members only and you accept that other members say what they think. You accept that your story and dialog on the page is on CAL and that CAL at not time can be responsible for how you take the dialog or conversation. You accept that your interaction is solely on your response. You Join us because you want to, and because you want to make the changes, you accept that it can be other than you expect and you accept that you are challenged and that it is your responsibility. We see a strong FORUM, a strong site that is useful for all member. A place where we can reach out to each other. Join us to make a positive change in your life, because you want to. YOU CAN, YOU WILL and you ARE GOING TO DO IT. You understand and know, that all information on the CAL site, whatever is on the site, such as information about coaching, techniques, NLP skills and all other coaching or mentoring information, story, text, software, messages, pictures or any other materials of any contents at all, whether it is publicly posted or it is privately transmitted, this is the sole responsibility of this person from which the Content original comes. You are the entirely responsible for all Content that you upload, whatever it is, post, email, transmit, pictures or of content otherwise you make available via the website, the blog or any other place here on the CALWEB. CAL does not at any time, stand for or verify, look at or moderate and classify the Content posted via the blog, the forums, or the use of CAL in the comments sections. This means that all content on the web page under CAL, CAL is a place to share and does not guarantee the accuracy of any content ect., webpage the integrity or quality of such Content. There is no link between what is posted by others, the content and CAL. You understand, that by using CAL a web page, the site, the blog, the comment fields. 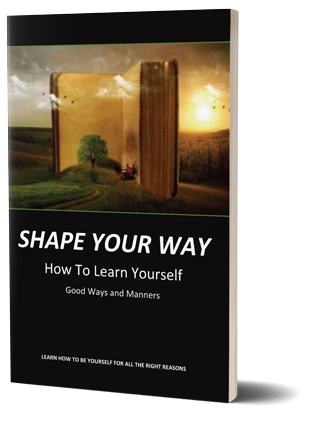 that you may be exposed to Content within coaching and mentoring that is a wakeup call in good manners, and it is your obligation to secure that it is not offensive, indecent or objectionable. Under no circumstances will CAL be liable in any way for any Content, including, but not limited to, for any errors or omissions in any Content, and further or for any loss or damage of any kind incurred as a result of the use of any Content posted, emailed, transmitted or otherwise made available via the CAL website, site, blog, comment field or forum. We are all in our lives journey, with one purpose of all, make a great. Have a good life. We want to make a difference for the good, for the better for each one of us. All services provided within Life Coaching, not psychotherapy. Ages: adult (18 – elder). Female & male. Please note, Serious Mental Illness’, are NOT appropriate for Coaching, (some of the examples are: schizophrenia, paranoid psychotic disorders, etc). CAL is a web page, site, and forum whose purpose is to exchange know-how, knowledge, stories, and challenges in life. This page is for the use of communications cross life mentoring on all levels. CAL has its roots in coaching, we believe that everyone has a chance, we believe we all can learn, we believe in each other, and we know, we can do it. We believe that a goal must be a positive goal with ecological good terms, all in right level with nature. CAL is for exchanging knowledge and skills on all levels in life, we use our life teaching, life coaching and life mentoring as a base a tool to create and move forward CAL’s website is to exchange knowledge, know-how, and information, in the website we use CAL for communication. Please read the vision of CAL, to know that you align, to ensure that you understand, to ensure that you accept the basics and terms for use of this website. CAL follows legislation and laws, that is what we do at all times. Please send an e-mail to call if you see anything that is out of order. Life Coaching is a powerful tool. To understand this you must be aware that there is always the question DO I NEED MY PERSONALLY LIFE COACH. IF YES; please do not use this site at all before you are ready. DO NOT UNDER ANY CIRCUMSTANCES USE THE SITE IF YOU DO NOT AGREE. KNOW THAT LIFE COACHING IS A POWERFUL TOOL and if you at any time need a personal coach or help with a life topic. TRUST YOURSELF and know you are the responsible person for your life and you need to act accordingly. CAL can at no time see, hear or know of any such signals or indications. STOP using this site if you are in a dough. MEMBER CONDUCT AND MEMBER INFORMATION. As me-member you agree to follow the bylaw, to use proper language, and code of conduct, you agree not to submit or transmit any materials through the website that is defamatory, threatening, bullying, obscene or harassing. You agree not to submit or transmit material, story text, or any information that contain any kind of virus, worms, Trojan horse or has a harmful component, or is copyrighted by other proprietary material of the third party without the right and permission, and otherwise violate any applicable laws. You understand, that by using CAL and the web page, the site, the blog that you may be exposed to Content within coaching and mentoring that can be direct and hard to see, read or hear, at no time must it be offensive, indecent or objectionable. CAL is not responsible for the way or the context or any connection, the tone or quality and therefore please take immediacy contact to CAL if that takes place. This will exclude members. Under no circumstances will CAL be liable in any way for any Content, including, but not limited to, for any errors or omissions in any Content, or for any loss or damage of any kind incurred as a result of the use of any Content posted, emailed, transmitted or otherwise made available via the CAL website, site, blog or forum. As my-member You agree to follow the bylaw, use proper language, and code of conduct, you agree not to submit or transmit any materials through the website that is defamatory, threatening, bullying, obscene or harassing. You agree not to submit or transmit material, story text, or any information that contain any kind of virus, worms, Trojan horse or harmful component or is incorporate copyrighted by other proprietary material of the third party without the right permission, and otherwise, violate any applicable laws. You understand, that by using CAL and the web page, the site, the blog that you may be exposed to direct questions and content within the life coaching and mentoring that is direct, and will move border, at no time must these questions be offensive, indecent or objectionable. Under no circumstances will CAL be liable in any way for any Content, including, but not limited to, for any errors or omissions in any of the Content, or for any loss or damage of any kind incurred as a result of the use of any of the Content posted, emailed, transmitted or otherwise made available via the CAL website, site, blog or forum. Please note that you are the responsible person for your membership, and that is all we all have to do, keep it decent and correct. Stay on the right level. As by invitation only member. You agree to follow the bylaw, use proper language, and code of conduct, you agree not to submit or transmit any materials through the website that is defamatory, threatening, bullying, obscene or harassing. You agree, that you will not submit or transmit material, story text, or any information that contain any kind of virus, worms, Trojan horse or harmful component, or is incorporate copyrighted by other proprietary material of the third party without the right permission, and otherwise violate any applicable laws. You understand, that by using CAL and the web page, the site, the blog that you may be exposed to Content within life coaching and mentoring that is tuff questions, these hard life questions must never be offensive, indecent or objectionable. Under no circumstances can CAL be liable in any way for any Content, including, but not limited to, for any errors or omissions in any Content, or for any loss or damage of any kind incurred as a result of the use of any Content posted, emailed, transmitted or otherwise made available via the CAL website, site, blog or forum. For users who are not members, your use of the Website will be considered as a member, you must accept the Terms of usage or use. You are responsible for the comments you leave and can at any time be blocked from writing comments. STOP and do not under any circumstances use the website if you cannot accept these terms or if you do not agree. For all other users, that are not registered with the Website, your use of the Website shall be subject to the same conditions as designated terms to those terms that apply to all users. This means that you, and not CAL, are entirely responsible for all Content that you, or your membership profile upload, post, email, transmit or otherwise make available via the CAL website, blog or post. CAL does verify, moderate and classify the content posted via the blog, membership pages or post, as such, does not guarantee the accuracy, integrity or quality of such Content. You understand that by using the website, using coaching, you may be exposed to content that is offensive, indecent or objectionable. Under no circumstances will CAL be liable. – upload, write, transmit, post, email, or otherwise make available any unauthorized or unsolicited advertising materials, promotional materials, spam “spam mail,” junk “junk emails,” “chain letters,” “pyramid schemes,” or any other form of solicitation. – upload, write, transmit, post, email, or otherwise make available any material that contains software viruses or any other computer code, files or programs designed to interrupt, destroy or limit the functionality of any computer software or hardware or telecommunications equipment; – disrupt the normal flow of dialogue, cause a screen to “scroll” faster than other users of the Service are able to type, or otherwise act in a manner that negatively affects other users’ ability to engage in real time exchanges stalk or otherwise harass another; or collect or store personal story about other users. As part of the registration procedure, each user will select a login name and password. When you enter to sign in to your use of the CAL website, you state and represent that you are of legal age, that you are to form a binding contract and you are not a person barred from receiving services under the laws of the United States or other applicable jurisdiction. You agree to, that you will provide true, accurate, current and complete information about yourself as prompted by the member registration form, such information being the member story and to maintain and update the member story in order to keep it valid, accurate and complete. If you decide to provide any information that is untrue or not current or incorrect or CAL has reasonable ground to suspect that such information is untrue, not valid or not current, CAL has the right to terminate your account and CAL has the right to refuse any and all current and future use of the website. This including being a member. You may not choose a login name of another person with the intent to impersonate, harass, violate another person identity or name, without authorization use a name subject to the rights of any other person, use a login name, that in its sole discretion, deems inappropriate or offensive. You shall and must notify CAL of any known or suspected unauthorized use of your Account, or any known or suspected breach of security, including loss, theft, or unauthorized disclosure of your password. You and solely you are responsible for maintaining the confidentiality of your password. Fraudulent, abusive, and otherwise any illegal activity may be grounds for termination of your account in CAL, you may be reported to appropriate law-enforcement agencies. The CAL Website is directed to individuals and entities of the United States. It is not directed to any persons, firms or others entity in any jurisdiction where by reason of nationality, residence, citizenship or otherwise the publication or availability of the Website and its content, are unavailable or otherwise contrary to local laws or regulations. If this applies to you, you are not authorized to access or use any of the information on this Website. CAL makes no representation that the information, opinions, advice or other content on the Website that is collected or content is appropriate, audit or valid. If you choose to access the CAL website from another location, you do it at your own risk and you are the one who is responsible for compliance with applicable local laws. SCOPE OF USE AND USER OF E-MAIL. It is prohibited to reproduce material, transmit, modify, store or send significant portions of the content from the CAL website. You are authorized to use, view and copy small portions of the content for your personal use. For all involved content provided, there are all the copyrights notices and author of the content is included. The material on the CAL website, the layout, the content, etc. are copyrighted and are protected by the United States and international copyright laws and treaty provisions. CAL respects individually intellectual property rights of others, coaches and mentors and everyone else and within CAL we expect that users do the same. The policy of CAL is to terminate the members at all levels and to repeat copyright offenders and other users who infringe upon the intellectual property rights of others. If you discover, see or think that your work or the work of others has been duplicated or copied under the copyright infringement, we ask you to send an e-mail to support@coachingandlife.com, note that within life coaching and mentoring it is allowed to state, comment and reply on the work of others, and therefore always give the name. It makes no difference it is even more valid when everyone knows where it is coming from. CAL has the right to end, remove, cancel and terminate any links if the link is not apocopate to the CAL Website, site or forum. CAL claims all warranties, express and implied, as to the accuracy, validity, and legality or otherwise of any materials or information contained on such sites. As a condition of your use of the Website, you warrant to CAL that you will not use the Website for any purpose that is unlawful or prohibited by these terms, conditions, and notices. You may not use the Website in any manner that could damage, disable, overburden, or impair the Site or interfere with any other party’s use and enjoyment of the Website. You may not obtain or attempt to obtain any materials or information through any means not intentionally made available or provided for through the Site. It is prohibited to gather email addresses from CAL through harvesting or automated means. It is prohibited to post or transmit unauthorized or unsolicited advertising, promotional materials, or any other forms of solicitation to others. THE WEBSITE AND THE SITE PAGES, AND ANY CONTENT ON THE SITE WITHIN CAL ARE PROVIDED TO YOU AS IT IS. WITHOUT WARRANTY OF ANY KIND WHETHER EXPRESS, STATUTORY OR IMPLIED, INCLUDING BUT NOT LIMITED TO ANY IMPLIED WARRANTIES OF MERCHANTABILITY, FITNESS FOR A PARTICULAR PURPOSE, QUIET ENJOYMENT, SYSTEMS INTEGRATION, ACCURACY, AND NON-INFRINGEMENT, ALL OF WHICH CAL COACHINGANDLIFE EXPRESSLY DISCLAIMS. CAL COACHINGANDLIFE DOES NOT ENDORSE AND MAKES NO WARRANTY AS TO THE ACCURACY, COMPLETENESS, CURRENCY, OR RELIABILITY OF THE CONTENT, AND CAL COACHINGANDLIFE WILL NOT BE LIABLE OR OTHERWISE RESPONSIBLE FOR ANY FAILURE OR DELAY IN UPDATING THE WEBSITE OR ANY CONTENT. WE HAVE NO DUTY TO UPDATE THE CONTENT OF THE WEBSITE. CAL COACHINGANDLIFE MAKES NO REPRESENTATIONS OR WARRANTIES THAT USE OF THE CONTENT WILL BE UNINTERRUPTED OR ERROR-FREE. YOU ARE RESPONSIBLE FOR ANY RESULTS OR OTHER CONSEQUENCES OF ACCESSING THE WEBSITE AND USING THE CONTENT, AND FOR TAKING ALL NECESSARY PRECAUTIONS TO ENSURE THAT ANY CONTENT YOU MAY ACCESS, DOWNLOAD OR OTHERWISE OBTAIN IS FREE OF VIRUSES OR ANY OTHER HARMFUL COMPONENTS. SOME STATES DO NOT ALLOW THE DISCLAIMER OF IMPLIED WARRANTIES, SO THE FOREGOING DISCLAIMER MAY NOT APPLY TO YOU. YOU MAY ALSO HAVE OTHER LEGAL RIGHTS THAT VARY FROM JURISDICTION TO JURISDICTION. This Website CAL is not intended for use by minors YOU must be of the age of 18 to use the page. The forum and the information available on the CAL Website is intended to be a general information resource regarding all the matters that discovered, and there is nothing on any of the pages that are tailored to you and your specific circumstance, all information shared on the site has a limited and cannot replace one with one unique life coaching or mentoring for you, and you must under no circumstances use the information as so. You should not construe this as legal, accounting or other professional advice. You should not construe this as professional advice of any kind within life coaching. If you need specific life coaching this is not the place. CAL CANNOT BE HELD RESPONSIBLE FOR THE VALIDITY OF ANY OF THE INFORMATION, SKILLS, KNOWLEDGE SHARED ON THE SITE AND YOU MUST ALWAYS EVALUATE ALL INFORMATION ON THE SITE, TO BE SPECIFIC. CAL RECOMMENDS TO EVALUATE ALL YOU SEE AND READ, YOU SHOULD EVALUATE ALL INFORMATION, YOU SHOULD EVALUATE ALL OPINIONS AND YOU SHOULD EVALUATE ALL ADVICE AVAILABLE ON THIS WEBSITE IN CONSULTATION WITH YOUR OWN LIFE COACH OR LIFE MENTOR OR YOUR OWN INSURANCE SPECIALIST, OR WITH YOUR LEGAL, TAX, FINANCIAL OR OTHER ADVISOR, AS APPROPRIATE. CAL has the right to take any action it deems necessary to protect the personal safety of our members at all levels and the guests or the public. CAL has no liability or responsibility to users of the CAL website or any other person or entity for performance or nonperformance of the aforementioned activities. CAL cannot be held accountable or held responsible for any information in the third-party name. The owner of the content is the sole owner of the content and responsible for content. If you wish to keep your business information, ideas, concepts or inventions private or proprietary, you must inform members of so and CAL can never be held accountable or responsible for any content posted by third party name. FOR QUESTIONS We aim to answer all emails within 24 hours. The forums, me, my or by invitation only and the posts on the blogs on the social network on the website are not moderated or reviewed. Accordingly, Users will be held directly and solely responsible for the content of messages that are posted. It is solely and While not moderating the forums, the Site reviewer will periodically perform an administrative review for the purpose of deleting messages that are old, have received few responses, are off topic or irrelevant, serve as advertisements or seem otherwise inappropriate. CA has full discretion to delete messages. Users are encouraged to read the specific forum rules displayed in each discussion forum first before participating in that forum. CAL SPECIFICALLY DISCLAIMS ANY LIABILITY, THIS IS WHETHER BASED IN CONTRACT, TORT, NEGLIGENCE, STRICT LIABILITY OR OTHERWISE, FOR ANY DIRECT, INDIRECT, INCIDENTAL, PUNITIVE, CONSEQUENTIAL, OR SPECIAL DAMAGES ARISING OUT OF OR IN ANY WAY CONNECTED WITH ACCESS TO USE OF OR RELIANCE ON THE CONTENT (EVEN IF CAL HAS BEEN ADVISED OF THE POSSIBILITY OF SUCH DAMAGES) OR THAT ARISE IN CONNECTION WITH MISTAKES OR OMISSIONS IN, OR DELAYS IN TRANSMISSION OF, INFORMATION TO OR FROM THE USERS, ANY FAILURE OF PERFORMANCE,OMISSION, ERROR, TRANSMISSION OR DELIVERY, COMPUTER VIRUS, COMMUNICATION LINE FAILURE, THEFT OR DESTRUCTION OR UNAUTHORIZED ACCESS TO, ALTERATION OF, OR USE OF RECORDS, PROGRAMS OR FILES, INTERRUPTIONS IN TELECOMMUNICATIONS CONNECTIONS TO THE WEBSITE OR VIRUSES, WHETHER CAUSED IN WHOLE OR IN PART BY NEGLIGENCE, ACTS OF GOD, TELECOMMUNICATIONS FAILURE, THEFT OR DESTRUCTION OF, OR UNAUTHORIZED ACCESS TO THE WEBSITE OR THE CONTENT. THIS LIMITATION OF LIABILITY MAY BE DIFFERENT IN CONNECTION WITH SPECIFIC PRODUCTS AND SERVICES OFFERED BY CAL. CAL may, at any time, for any reason and without notice, make changes to the website, blog or forum, including layouts, content, as well as the products and services which are described on the website. Modifications will be posted on the website and thereafter affected. It is your responsibility solely, to review the conditions every time you login to the website when you log in you are deemed to have accepted the changes. 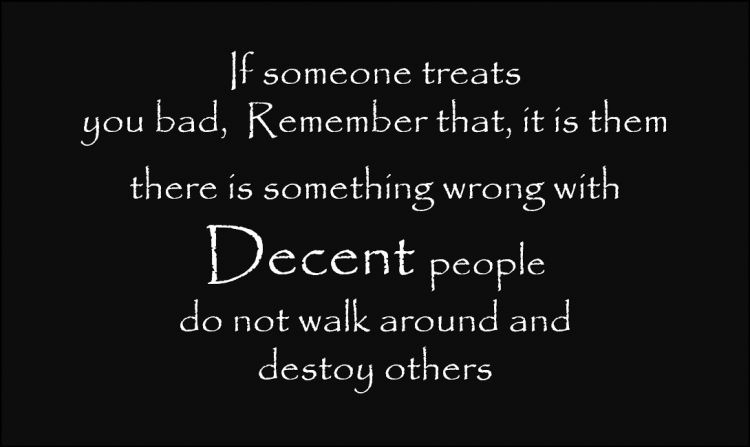 If you find any abusive, harassing, bullying or other unappreciated activity.